Swansea take lead but Ryan Manning strikes twice from the penalty spot to win it for Rotherham. 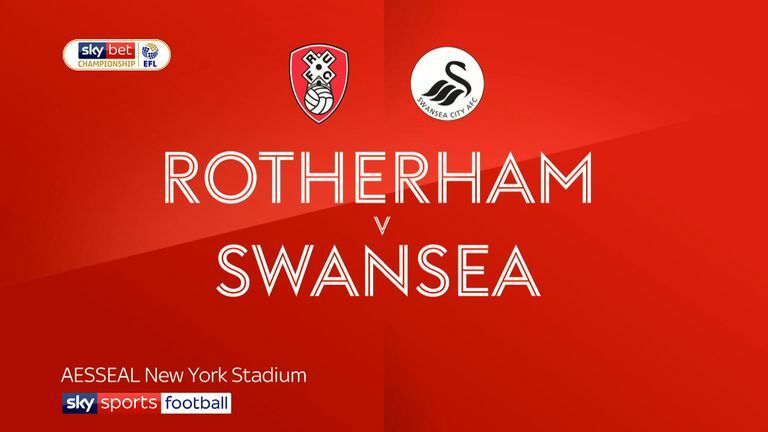 Two second-half penalties from substitute Ryan Manning completed a late turnaround as Rotherham defeated Swansea 2-1. The visitors dominated proceedings for much of the match but paid the price for not adding to their goal tally when on top. 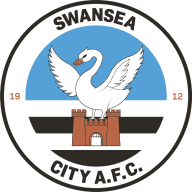 Swansea arrived at the New York Stadium looking for a third straight win and certainly looked the in-form side for the vast majority of the match. They took the lead on 25 minutes when livewire Daniel James scampered down the left and crossed for Oli McBurnie to finish neatly past Marek Rodak. The visiting side continued to create more of the chances, with James blazing over and Rodak having to block Bersant Celina's effort. Rotherham's sole effort of a frustrating half came from Semi Ajayi, whose header was gathered by Kristoffer Nordfeldt. The Millers made a change at half-time, with Manning brought on for the ineffective Kyle Vassell, but it was again the visitors who started the brighter. Roberts found space down the right and crossed for Leroy Fer but his side-footed effort was kept out by Rodak. Jay Fulton was the next to come close. The midfielder was given far too much licence to roam forward but fired over the bar. Another Rotherham substitution failed to change the momentum of the game as the Welsh side continued their dominance, with Celina firing narrowly wide. 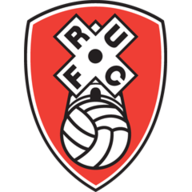 Rotherham still had a sniff and their best hope looked like coming from a set-piece, with Manning's long-range free-kick pushed out by Nordfeldt. Paul Warne brought on the physical presence of Jamie Proctor for the final 15 minutes and it paid off as he was felled by Nordfeldt for a penalty. Manning stepped up on 78 minutes and slotted in his third spot-kick of the season. Rotherham's belief instantly grew as they suddenly looked the side more likely to find a winner - and got the chance to do so from the spot again on 86 minutes. A short free-kick was played to Will Vaulks, whose powerful shot was adjudged to have been handled by Fer. Manning again stepped up and fired into the top corner to seal the turnaround. The Millers kept hold of the ball throughout five minutes of added time to record a memorable win. Paul Warne: "At 1-0 you are still in it. It could have gone three or four nil. I thought we were completely outplayed in the first half especially. In fairness to the fans, I appreciate that we didn't get booed off at half-time. Sometimes you just have to hold your hands up. "It says more about our character than it does our performance. Thanks to Lady Luck we've come out with a win but it sums up the character in the dressing room. We tried but we were just up against a very good team. It was a real football lesson. We can take the lesson and be really pleased with the three points." Graham Potter: "Whenever it's 1-0 you leave yourself open to anything. We weren't as clinical as I would have liked. We restricted them to pretty much nothing but if you don't score the second goal, anything can happen. "Ultimately you need to score goals. They scored two but we scored one. The result is important but you also have to have a way of playing over the course of a season and that's the thing for us. We are suffering because we put a lot into the game. When you look at the game in its entirety we had enough chances to get the second goal."